Destined to become your favourite breastfeeding top, The Everly Nursing Top is a must have maternity wear essential! Opt for effortless style, with this on trend silhouette featuring a double layer overlay with a super easy underlay that’s designed for easy access. Simply pull it to one side allowing for a discreet and chic nursing tee. Made in an easy to care for high quality fabric, our nursing tee is the wardrobe maternity staple that every women needs. 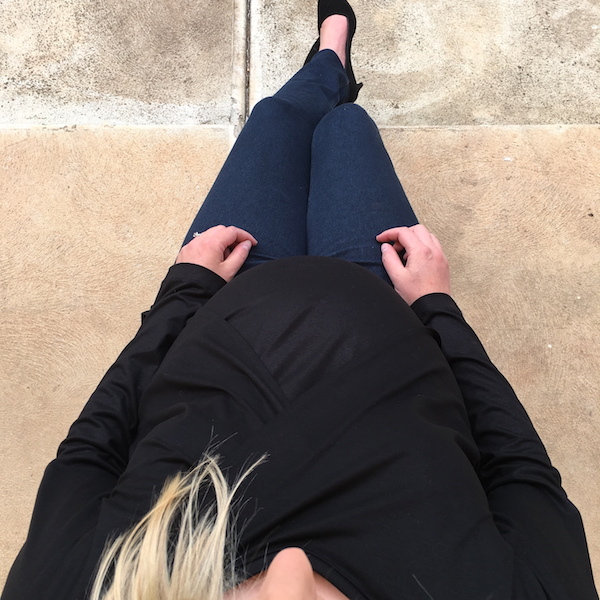 Style it with your favourite jeans for a stylish maternity look or match with our classic straight leg maternity pant for a timeless work wear look. The Everly Nursing Top is a must-have item for pre & post pregnancy. Pair it with our super comfy Cuffed Maternity Pant for an effortless maternity style that will take you from day to night. 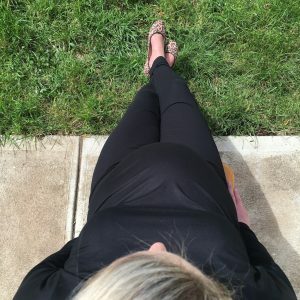 Then team it with our must-have maternity staple piece our 7/8 Maternity Pant, an ideal maternity workwear pant that will last throughout your pregnancy. 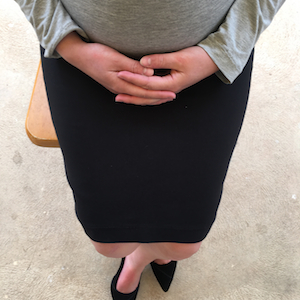 Love this maternity tee? Share it with your friends! Just select Afterpay at the checkout and follow the steps. For more information about it, head to the Afterpay website for more! Viscose/Spandex: Cold hand wash or cold gentle machine wash. Do not tumble dry, turn garment inside out. Wash separately. Drip dry without delay away from direct heat. Warm iron. Dry cleanable with care.